Play slots and video poker to earn Express Comps – the fastest way to comp yourself. You can also earn Express Comps for table games play based on your average bet and time played at Beau Rivage, Gold Strike Tunica and MGM Grand Detroit. Redeem Express Comps for hotel accommodations, dining, entertainment, M life Moments, and more at any M life Rewards Destination. Earn Points when playing your favorite slots or video poker machines. Redeem your Points for FREEPLAY® for slots by selecting POINTPlay® from the menu at any slot machine - or convert your points to even more Express Comps. Visit the M life Rewards desk and we’ll help you choose a secure, four-digit PIN and show you how to manage your account at the slot machine using the game's keypad and M life Rewards menu. *Points may not be redeemed for FREEPLAY at MGM Grand Detroit. As an M life Rewards member, you'll qualify for exclusive FREEPLAY promotions and offers from participating casinos. Simply slide your M life Rewards card into your favorite slot machine to see your current FREEPLAY balance – then play on the house. As a member of M life Rewards, you'll earn Holiday Gift Shoppe Points in addition to your other rewards and benefits. Earn one Gift Point for every slot point accumulated at any of our Las Vegas M life Rewards destinations, and redeem them for electronics, jewelry, and more at our incredible year-end shopping event in Las Vegas. You'll be earning your way toward a happy holiday all year long. Tier Credits are the engine that drives M life Rewards. Each Tier credit you earn gets you closer to the next tier of membership. Earn Tier Credits on slot, video poker and table games play – also for hotel, dining, entertainment and spa spend. As part of our ultra-elite, NOIR Members get the best of everything. 2 Each Qualifying Platinum Member will receive one (1) cruise for two people per year. Annual benefit available during the Tier earning year (10/1- 9/30). Length of cruise, cruise destinations, and room type will depend upon member’s recent MGM Resorts spend and gaming play. Members are responsible for transportation to/from cruise embarkation and final disembarkation locations. Certain restrictions, fees, and limitations apply. Subject to additional terms and conditions available at mgmresorts.com/royalandcelebritycruises. From the exotic Park Hyatt Maldives to the chic Andaz West Hollywood, you now have even more places to live the M life. M life Rewards members can earn 600 Rapid Rewards® points for each qualifying stay at all Las Vegas M life Rewards Destinations. M life Rewards members can enjoy exciting new benefits and offers through Royal Caribbean International cruises. Cruise offers and onboard benefits exclusively for M life Rewards Members. M life Rewards members can save up to 30% on your next car rental at any of the Las Vegas M life Rewards Destinations. M life Rewards members can receive up to 25% off tickets as well as preferred seating for select Cirque du Soleil performances. M life Rewards members can enjoy exciting new benefits and offers through Thunder Valley Casino Resort. M life Rewards members get special benefits and pricing on golf. Get exclusive discounts and benefits at all Cashman Photo Enterprise locations at MGM Resorts in Las Vegas. From Los Cabos to Lake Como, M life Rewards members can enjoy fabulous, five-star travel experiences. M life Moments are unique members-only experiences available exclusively at M life resorts. This could include anything from swimming with the dolphins, choosing the song for Bellagio’s famed dancing fountains, or even enjoying a private mixology lesson. Enjoy dining, entertainment and shopping with a flick of the wrist. 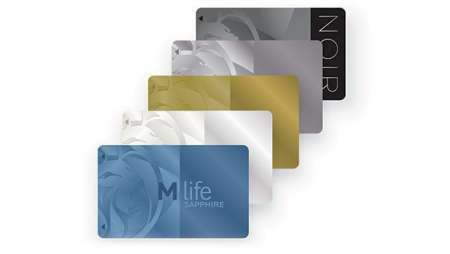 M life Gift Cards are accepted at more than 15 of our MGM Resorts around the world.